The Jewish philosopher Leo Strauss held that the Hebrew Bible should be regarded as being in “radical opposition” to philosophy and as its “antagonist.” This is an influential view, which has contributed much to the ongoing omission of the Bible from most accounts of the history of political philosophy. In this essay, I examine Strauss’s arguments for this exclusion of the Bible from the Western tradition of political philosophy and conclude that his views cannot be accepted without amendment. I propose a revised approach to the history of political philosophy that preserves Strauss’s most important insights, while recognizing the Hebrew Bible as a foundational text in the Western tradition of political philosophy. In The Philosophy of Hebrew Scripture, I proposed that the Hebrew Bible (or the Christian “Old Testament”) can be read as an anthology of works encompassing an early and crucial philosophical tradition. 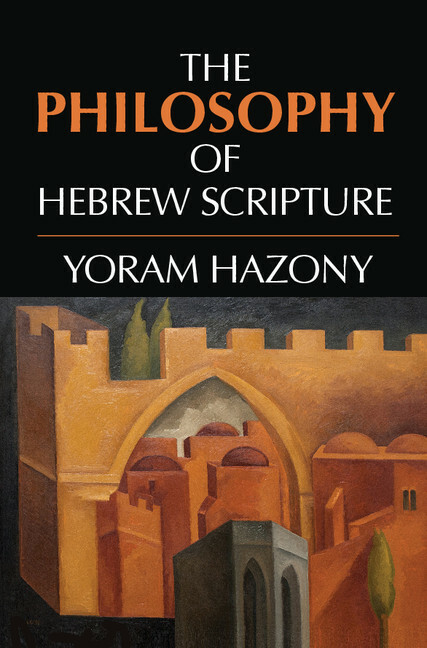 Since many of the subjects treated in the biblical corpus address fundamental questions familiar from political philosophy, and since the biblical treatments of these matters have a massive afterlife in the tradition of Western political philosophy down to our own time, I suggest that many parts of the Hebrew Bible—and in particular, the History of Israel extending from Genesis to Kings—should be regarded as masterpieces of political philosophy. If I am right about this, then most current programs in political philosophy or political theory are not well constructed to convey the Western tradition of political philosophy to their students. At a minimum, the chronological treatment of the history of the Western philosophical tradition in introductory courses should begin with the political thought of the Hebrew biblical corpus before proceeding to Greek political philosophy. Ideally, such introductory courses would also touch upon the fusion of Jewish and Greco-Roman political philosophy in subsequent periods, including the founding of Christianity and the flowering of Protestant political theory in 17th century Europe. It goes without saying that once the field is mapped in this way, specialized courses on biblical political theory and on its later reception in Christianity and modern liberal political thought will become quite relevant. The fact that we do not normally include Jewish ideas as such in the story of Western political philosophy is a consequence of a number of factors. As I point out in my book, one of the principal ones is that the familiar de-judaized historical narrative is the product of the German Enlightenment’s view of Western intellectual history, which sought to attribute anything of worth in the Western heritage to the Greeks, and to eliminate any trace of Jewish intellectual contributions. By this point, the anti-Semites who designed this approach to the history of Western ideas are long gone, and the overtly anti-Semitic origins of this story have been forgotten. But it continues to be taught and to guide research in political philosophy and political theory in almost all academic programs in which these disciplines are pursued. Against this backdrop, the thought of Leo Strauss stands in a somewhat awkward position. On the one hand, Strauss was a proud Jew and a significant Jewish thinker in the harsh context of the last generation of German-Jewish philosophers before the Holocaust. I don’t doubt that he did more than anyone else to bring Maimonides and medieval Jewish thought into a respected position in the tradition of political philosophy in academia. And as David Schaefer rightly points out, Strauss’s willingness to engage the Hebrew Bible in his writings and teachings also contributed to the present trend toward ever more sophisticated treatments of Hebrew Bible within the context of the study of political theory. On the other hand, Strauss continues to be one of the of the most powerful voices heard in opposition to viewing the Hebrew Bible as part of the Western tradition of political philosophy. In fact, Strauss’s construction of the tradition of Western political philosophy consistently branded the Hebrew Bible as the “antagonist” of philosophy and as being in “radical opposition” to philosophy. This is a view that Strauss advanced out of respect for what he took to be the Jewish-biblical standpoint. But as Strauss himself emphasized, he was not a scholar of the Bible, and it is doubtful whether his understanding of the Jewish-biblical standpoint was sufficient to justify treating his views as the last word on this subject.Moreover, it is impossible not to notice that in its exclusion of the Bible from the circle of works considered to be of philosophical worth, Strauss’s position has uncomfortably much in common with that of the anti-Semitic philosophers of the German Enlightenment that he set out to resist in his own thought. Such exclusionary views stand in stark opposition to those of earlier philosophers, especially in the Calvinist and post-Calvinist philosophical traditions of 17th century Holland and Britain. Selden, Hobbes, Grotius, Cunaeus, Milton, Harrington, Locke, and many others were willing to read Hebrew Scripture and classical rabbinic texts as legitimate and worthy sources for political philosophy, often distancing themselves from Greek thought and even, as in Locke’s Two Treatises of Government, from the New Testament.In an important sense, these two rival Western traditions—Calvinist-British and Lutheran-German—continue to do battle today over the heart of the Western tradition of political thought, and, crucially, over its standpoint with respect to the Hebrew Bible. All of this makes a re-evaluation of Strauss’s rejection of the biblical corpus as philosophy a pressing matter for all of us, and especially for those of us who teach and write on political philosophy or political theory. Prior to the discovery of nature, the characteristic behavior of any thing or class of things was conceived of as its custom or its way. That is, no fundamental distinction was made between customs or ways that are always and everywhere the same, and customs or ways which differ from tribe to tribe. Barking and wagging the tail is the way of dogs, menstruation is the way of women, the crazy things done by madmen are the way of madmen, just as not eating pork is the way of Jews and not drinking wine is the way of Moslems. The right way is now no longer guaranteed by authority. It becomes a question or the object of a quest. The primeval identification of the good with the ancestral is replaced by the fundamental distinction between the good and the ancestral; the quest for the right way or for the first things is the quest for the good as distinguished from the ancestral. It will prove to be the quest for what is good by nature as distinguished from what is good merely by convention. There is thus an antagonism between those individuals and societies that associate the good with custom and authority, and those for whom the good holds in all times and places, and must therefore undermine custom and authority. The discovery of nature is the work of philosophy. Where there is no philosophy, there is no knowledge of natural right [i.e., that which is right “by nature”]. The Old Testament, whose basic premise may be said to be the implicit rejection of philosophy as such, does not know “nature”: The Hebrew term for “nature” is unknown in the Hebrew Bible. The Bible, then, represents for Strauss a time when men considered their local laws and customs, accepted on authority, to represent what is true and good, and did not yearn to see past these particular, conventional “truths” to something that is true and good in all times and places.On this view, it is only fitting that the Hebrew Bible be considered at most as background reading to pave the way for the study of political philosophy, and that it be excluded from the history of the development of political philosophy—as is the case, for example, in Strauss’s own textbook for students, History of Political Philosophy. Strauss’s construction of the history of philosophy thus relies on (i) a thesis concerning the relationship of philosophy to a certain conception of nature; and a thesis concerning the teachings of Hebrew Scripture. Although this construction of the history of philosophy has important considerations in its favor, I do not believe that either of these two theses can be maintained in the original form in which Strauss presented them. Careful amendment is called for on both points. II. Does the Bible Seek an Independent Standard of Right? Let us consider first whether the placement of the Bible as a collection of pre-philosophical texts can be maintained in the straightforward way in which Strauss suggests. This independent-minded and at times even contentious character of these shepherd figures is remarkable in that Hebrew Scripture clearly sees these shepherds as the human beings that God loves best: Those with whom he is able to forge an alliance (Hebrew, brit, usually translated as “covenant,” is literally an alliance) for the betterment of mankind’s condition on earth. This is not to say that the life of the farmer, honoring his ancestors and living in pious obedience, is not respected in Scripture. The farmer-type also represents crucial political virtues, without which a people would not hold fast on its land, the state could not survive and grow, and most of mankind would starve. But the farmer-type is ultimately crippled by his readiness to honor any authority or tradition that has been handed down to him: Joseph applies himself to serving Potiphar or Pharaoh much as he served his father, whereas Moses recognizes Pharaoh’s evil and will not serve him even to become king in Egypt. The willingness to look past ancestry, authority and tradition to find what is true and good belongs exclusively to the shepherd-type. Originally, the authority par excellence or the root of all authority was the ancestral. Through the discovery of nature, the claim of the ancestral is uprooted; philosophy appeals from the ancestral to the good, to that which is good intrinsically, to that which is good by nature…. [B]y uprooting authority, philosophy recognizes nature as the standard. Is this independent standard of the good what the biblical shepherd is appealing to when he rebels against ancestry, authority and tradition? In his response to my book, Jeffrey Bernstein points to this as the key question that must be answered. Let us see if we cannot answer it. As is well known,the decisive move that turned ancient Israelite thought into a force in the history of ideas was the discovery that there is only one God, who is the creator of all things in heaven and earth. But although this fact is well known, its meaning—the content of the proposition that there is only one God—is not well understood today. In the ancient world, debates about the gods were primarily concerned with what might be called the normative aspect of divinity: Whether there was something that the god commands, some demand to which one must respond in order to gain benefits or avoid ill consequences. There were gods for each nation, gods of weather and agriculture and fertility and war, and more localized gods such the god of the apple harvest or the god of a given field. Each of these gods was understood as making normative demands upon human beings in the area of its competence. If a man or a woman wanted something from the god that lorded over a particular nation or place or activity, then finding a way of pleasing the relevant god was of the utmost significance. In other words, the gods of the ancient world were each of them recognized as promulgating a local standard of right that governed, or held good for, certain peoples or places or activities. This brings us to the proposition that there is one God (“The Lord is our god, the Lord is one”). In practice, the system of thought known from the nations of ancient world—paganism, or, in the language of the Talmud, avoda zara (Hebrew, “strange worship,” “foreign worship”)—amounted to the localization of what was considered true or good. As Strauss observes, what the god of any given place might endorse or demand could easily be different from what was demanded by another, neighboring god. In other words, an understanding of the world as being governed by many gods amounted to the recognition of numerous different standards for determining what is true and good, with each god asserting its own standard, different from the others. In contrast, the discovery that the world was governed by one God was the discovery that there is only one normative order, only one standard for judging what is true and good. As such, this one standard had to be independent of all local standards, and consequently, of the claims that were otherwise being made in the name of ancestry, authority and custom in any given place. The Lord came from Sinai, and rose up from [Mt.] Se’ir to them. He shone forth from Mt. Paran, and came from holy multitudes. From his right hand want a fiery law for them. Truly he loves the peoples. [F]or instruction [tora] will go out from me, and my law will be kindled as a light for the peoples. Happy is the man [enosh] that does this, and the son of Adam [ben adam] who holds fast to it, who keeps the Sabbath and does not profane it, and stays his hand from evil…. And the sons of the stranger who join themselves to the Lord…, everyone who keeps the Sabbath and does not profane it, and all who hold fast to my covenant—I will bring them to my holy mountain and give them joy… for my house will be known as a house of prayer for all the nations. And I gave them my laws, and I informed them of my statutes, by which a man, if he performs them, will live by them. And it will come to pass, that if they diligently learn the ways of my people, to swear by my name, “As the Lord lives,” as they taught my people to swear by Baal, then shall they be built up in the midst of my people. In these and similar passages, the prophets of Israel present the laws of the one God as being true, good and desirable for peoples that have received no communication from God, but only exercise conventional human perception and judgment to distinguish what is good from what is not. The heart of Hebrew Scripture is the discovery that there is a single standard of right that operates without necessarily being connected in any way to ancestry, authority or custom, and which holds good for all the nations of the earth. The discovery of this independent standard of right is precisely that which Strauss recognizes as marking the watershed between pre-philosophic society and philosophy. But this discovery was first made, so far as we know, by the figures whose lives and thought are recorded in the Hebrew Bible. On the basis of what we have seen so far, it would appear that we should recognize the Hebrew Bible as containing the founding documents of the Western philosophical tradition. One may perhaps wish to respond that while the prophets of Israel did in fact discover a standard of right that is independent of the arbitrary and mutually conflicting local standards imposed the pagan gods, they did not recognize a standard of right that is independent of the will of their own God. As Strauss puts it, the Hebrew Bible does not speak of nature, and for this reason we must conclude that Scripture knows nothing about the good in itself, independent of God’s will. It only knows of a good that is dependent on God’s unconstrained will. As such, it must be regarded as a good that is essentially arbitrary, just as the local standards of the pagan gods are arbitrary. Such a response, however, seems to me to be quite insufficient to task of evaluating the phenomenon before us—the universal standard of right that is discovered in ancient Israel and assumed or argued for throughout the Hebrew Bible. We must seek a truer understanding of the philosophical significance of Israel’s discovery of the one God, creator of all things. A few points, then, in this regard. First, Strauss’s argument concerning the lack of a word for nature in the Bible is misconceived and should be rejected. Even if it were true that there is no word for nature in biblical Hebrew, it would still be impossible to establish the absence of a concept from a given text or discourse by pointing to the absence of a word that refers to it. Thus, for instance, there is no word for religion in Hebrew Scripture, yet the Bible obviously advances theses concerning what we call religion. And the same could be said of many other terms that Greek or Latin writers devised so as to provide labels for the things about which they wrote, whereas the Israelite writers wrote about the same things or very similar things without providing labels for them, usually preferring to make reference to abstract concepts using type contrasts and other metaphors.There is in fact a perfectly good word in the Hebrew Bible for the nature of a thing—the word yetzer, a cognate of the verb yatzar (Hebrew, “to form”), which refers to the form or tendency of a given kind of thing.But the mere existence of this word in the vocabulary of the prophets is no more significant to the issues that Strauss raises than its supposed absence from that vocabulary. The fact is that this word is used only rarely in Scripture because when the authors of biblical narrative and oratory wish to write about the things that are true or good by nature, they do so in other ways. In those days there was no king in Israel, and every man did what was right in his own eyes [hayashar be’einav]. And you had turned back, and done what is right in my eyes [hayashar be’einai, i.e., in God’s eyes], proclaiming liberty every man to his neighbor, and you had made a covenant before me in the house that is called by my name. Every man’s way is right in his own eyes [yashar be’einav], but the Lord weighs the thoughts [libot]. Do not make a habit of exceedingly proud talk, letting arrogance come from your mouth. For the Lord is a God of knowledge [el de’ot], and by him are actions weighed. Perhaps, then, the metaphor of what is right in God’s eyes is simply the biblical equivalent of what is right by nature? For this to be the case, what is right in God’s eyes would have to be what is right as a consequence of the constitution of the things themselves—as a consequence of what is “intrinsically” right, as Strauss says. And indeed, it is just such a view that we find in Hebrew Scripture. Isaiah, Jeremiah and other biblical authors explicitly depict God as having created all things in accordance with laws that govern them for their own good and for the good of the world. God thus gave laws to the heavens and the seas, laws which maintain the order of the universe and permit it to exist.Similarly, he gave laws that govern the growth of vegetation and permit agriculture, as well as laws that govern the lives of beasts for their good. In the same way, he gave a system of laws to human beings whose purpose is the flourishing of all men and women.Indeed, it is in the Hebrew Bible that we first encounter a view of the world according to which the human king does not really make the law—in fact, human kings are portrayed as usurping the role of God when they make law—because the true law, what is right in God’s eyes, is that which is given by God to teach men how to attain “life and the good” in this world. Scripture thus appears to be the oldest source for the idea that later comes to be called “natural law,” and in fact this term makes only rare appearances in Greek sources until its adoption by Philo as a means of describing the Mosaic law for a Greek-speaking audience. We have seen that the prophets of Israel discovered a standard of right that is independent of ancestry, authority and tradition. The standard in question is precisely the standard of that which is intrinsically good: It is that which brings the good to each kind of thing according to its nature and to human beings according to their nature. It is therefore not an arbitrary standard as in the case of the pagan gods, but the one true standard that applies to all things on this earth. And what of God? Is there a nature that governs the God of Israel? Does there need to be in order for the Bible to be philosophy? I will return to these questions in Section IV. III. Does Scripture Propose an Unending Quest for Right? There are thus powerful reasons to consider the biblical concept of “what is right in God’s eyes” to be akin to that nature the discovery of which Strauss associates with the founding of philosophy. To this, Strauss would apparently object that when the philosophers speak of nature, they do not refer to something that has already been discovered and must be accepted, as is the case with the law of Moses. Rather, the term “nature,” for the philosopher, signifies an independent standard of right whose content is unknown, and so must be sought, thereby opening up an unending quest in which it is the searching and not the finding that is essential.Understood in this way, the philosophical concept of nature is precisely the opposite of what is right in God’s eyes, which is assumed to be known from the time that the Scriptures are set to parchment, thus ending any quest for knowledge. Is the philosophical effort to determine what is right by nature fundamentally opposed to the effort to discover what is right in God’s eyes, as this effort is understood in the Hebrew Bible? There is a crucial question here, to be sure. But one cannot offer an intelligent response to it without developing a clear view of what kind of a text the Hebrew Bible is, and of the kind of intellectual discourse that is reflected in, and results from, the special way in which the Bible was constructed. Surprisingly, Strauss pays little attention to way in which the biblical text is structured. This poses no difficulty if one is willing to accept, as an account of what the Bible was intended to be, a view that sees the entire Bible as a single undifferentiated communication whose author is God and whose purpose is to transmit to mankind a unified and unequivocal message of a “life of obedient love.” In fact, however, the Bible is nothing of the kind. Neither the prophets and scholars who composed the Bible nor the classical rabbinic commentators believed that Hebrew Scripture could or should be read in this way. A brief look at the way the Bible is structured makes it evident that we should not read it in this way either. Let us begin with the character of the central biblical text—the biblical History of Israel, which opens with torat mosheh, the teaching of Moses, and was apparently completed by the prophet Jeremiah in exile in Egypt after the destruction of Judah and Jerusalem. If we consider the structure of this text, the first thing we notice is that this work is not a “law.” That is, it is not a legal code with a preamble such as every other legal code that is familiar to us from the ancient world. Indeed, the character of the principal biblical History is without precedent in the ancient world: It is not a law code, but rather a law code imbedded in a lengthy narrative that repeatedly broaches subjects of the greatest philosophical importance. Why should the biblical teaching have been presented in this unique and unprecedented form? The obvious answer is that while Moses and Jeremiah wished to see the law obeyed, they did not consider a “life of obedient love”—that is, the way of life demanded by the law codes of Babylonia or Egypt—to be sufficient as instruction for Israel. Something crucial was missing from the codes of the nations. And this something is provided, for instance, by the story of the Abraham’s challenge to God over his intention to destroy Sodom: “Will the judge of all the earth not do justice?”Of course such a challenge is, from the perspective of a life of obedient love, nothing but sacrilege. For who is man to question God’s justice? But in the biblical narrative, Abraham challenges the justice of the Lord, creator of heaven and earth, and lives to tell about it. And this fact, set at the head of the biblical story of Israel, becomes a precedent and a principle that characterizes all subsequent dealings between the Jews and their God throughout the narrative—dealings in which God demands justice of the Jews, but the Jews likewise demand justice from their God. Moses brought their cause before the Lord. And when Moses heard this, it was good in his eyes. In these passages, the narrative relates instances in which the reasoning individual challenges the plain meaning of the law in order to determine what is in fact “right in God’s eyes”—and therefore to determine the right contours of the law that had previously been invisible. In the first text, five sisters, daughters to an apparently disreputable man who died without any male children, argue that it is unjust that his name should not continue to be associated with a landholding after his death due to something not in his control, namely, whether he had sons or daughters. Here God himself is said to accept this challenge from justice, and the plain meaning of the law is adjusted in light of the daughters’ argument. In the second case, Aaron argues that it would not be right “in God’s eyes” for him to enjoy a sacrificial feast when his two sons have only just died, and Moses accepts his argument. In both cases, the plain sense of the law is amended due to a reasoned appeal to what is right in God’s eyes, as opposed to what the law appears to be. Notice that in these texts, there is no appeal of any kind to ancestry, authority, or tradition. One can be the high priest of Israel or the orphaned daughter of a discredited father. In either case, one can pour new light on the law as God intends it through a reasoned appeal to what is good “in God’s eyes,” even against what has until then been considered the law. In opening up this path for reasoning toward what is good in God’s eyes, even in cases where the law as it stands is challenged, the narrative introduces the concept that the rabbis later called the tora sheba’al peh, the “oral teaching,” through which human beings elaborate the written law in accordance with what is right in God’s eyes throughout the generations. This permits the written law to stand as an eternally valid statement of the natural law, just as the laws of Adam and Noah maintain their validity for all time. Yet at the same time, the locus for determining how the law is to be understood and applied is in the hands of human beings for whom the tora as a whole, and not exclusively the written law of Moses, is the basis for the effort to determine what is right in God’s eyes. The issue with which the biblical narrative is grappling is not limited to the law of Moses. No society cannot attain a minimum of safety and stability without maintaining determinate and, for the most part, unchanging principles of behavior that are accepted by all or most individuals. For this reason laws are promulgated and obedience to them is enforced and re-enforced. A private person will therefore always enter society facing laws that were established long ago, and if he judges these laws at all, he will invariably find that they diverge in smaller or larger ways from what he feels would have been right or best. For this reason, the laws, even if they are good laws, inevitably stand in a certain tension with the inquiries of the individual into questions of what is good and just. I say “a certain tension,” and not a fundamental or irreconcilable tension, because most individuals can see that the perils of revolution are very great, and that the overthrow of the government or the laws can normally be contemplated only under circumstances in which they are responsible for great evil. Otherwise the laws are to be judged, on the whole, as a force for good, and upheld even by those individuals who are critical of them. But the standpoint of the tora with regard to this inevitable tension between the law and the inquiries of the individual into the good and just is unique to the ancient world: Obedience to the law is enjoined for all Jews, as it is in all other nations, even as the narrative permits and encourages radical freedom with regard to the personal inquiry of those who are capable of it.As the narrative suggests, such inquiry has the potential to bring not only Moses, but even God himself to recognize the dictates of justice in a different light. This insistence on human reason, argument and initiative as the much-needed source for the clarification of the law is only one of many philosophical concerns broached by the biblical narrative. It is in the narrative that we encounter the thesis that the law is an expression of the will of the creator of all things, and therefore an expression of natural law. It is in the narrative, too, that we are taught to distinguish between shepherd and farmer as types of individuals and of societies, and encounter the proposition that the shepherd-figure is indispensable in breaking with the past, finding the true God, and discovering his will. It is in the narrative that we learn to regard the law as a part of a covenant, an alliance with God for the establishment of a just order on earth, and to understand this covenant in relation to previous laws that have been given to mankind, especially in the time of Adam and in the time of Noah. Similarly, it is the narrative that raises questions concerning the relationship between what is right in God’s eyes and the needs of human beings, needs that are depicted as bringing God himself to compromise—from the introduction of killing for food and maintaining justice, to the establishment of the institution of the king or the state. It is the biblical narrative, then, that initiates the ongoing Israelite tradition of inquiry into the question of what is “right in God’s eyes,” the Jewish equivalent to the Greek philosophic tradition. More such issues could be named, but the point should be clear. The tora is structured in two parts, a law imbedded in narrative. In the Talmudic period, the rabbis distinguished two different parts to the enterprise of tora, the law (halacha) and philosophical discussion (agada), recognizing them as being related in crucial ways, but also as being partly autonomous areas of investigation.The Mosaic law requires performance, of course, as is the case with the laws of all nations. But the imbedding of the law within the narrative—the agada, or Israelite philosophical material—indicates the dependence of the law on the agada, and our inability to fully understand the Mosaic law without the agada that imparts to the law its proper meaning, proportions and place. All of this has been said with respect to the biblical History of Israel, the principle biblical narrative-and-law. But this narrative is not the entirety of the Bible. It is only the first work in the Bible. When we consider Hebrew Scripture as a body, the position I have outlined becomes even more apparent. The History of Israel presents us with points of view that are pitted against those presented in other ancient Near Eastern texts. But they are also elaborated and at times at odds with the points of view presented in the prophetic orations and in other texts included in the Bible itself. For example, Strauss proposes that the creation story must be accepted on faith because it describes things that only God could have known.But a familiarity with the Bible makes it clear that this supposition is, from the standpoint of the biblical authors themselves, without basis. In fact, an argument over the proper way of understanding the creation is a thread that runs throughout the Hebrew Bible, involving not only the Mosaic texts but also Isaiah and Jeremiah, as well as various Psalms and Proverbs. These accounts have enough in common to make them an Israelite “school of thought” with respect to the creation—but there is also sufficient disagreement among the sources to suggest a lively debate, as there is across Scripture on many other subjects of philosophical concern. This multiplicity of perspectives among the authors of the Hebrew Bible is the basis for the early Christian claim that God spoke to the prophets of Israel only “in fragmentary and varied fashion,” whereas in the New Testament he has finally spoken clearly and univocally.Indeed, there are many Christian commentators today who continue to be troubled by precisely this, arguing that monotheism requires a “comprehensive, consistent revelation,” because “an inconsistent or fragmentary communication from God would undermine the capacity to be trusting and obedient.”But the editors of the Hebrew Scriptures were not troubled by the fragmentary and varied character of our understanding of God’s word. The fact is that man’s mind is limited, and his understanding only partial. The biblical narrative makes this point unequivocally with respect to Moses. And it was no less true of the other prophets of Israel, who saw things in different ways because each of them was limited to his own point of vantage.On this understanding, an unequivocal revelation such as some Christian writers apparently believe they have received would have been considered unlikely indeed. These observations point to a very specific purpose for the Hebrew Bible as an anthology of works. If the understanding of each of the biblical authors is only partial, then the reader’s approach to the truth will, of necessity, have to be by way of a number of different viewpoints. The purpose of the biblical editors, in gathering together such diverse and often conflicting texts, was not to construct a unitary work with an unequivocal message. It was rather to assemble a work capable of capturing and reflecting a given tradition of inquiry so readers could strive to understand the various perspectives embraced by this tradition, and in so doing build up an understanding of their own. What is created is a space in which a certain discourse arises, and a search for truth that is, in effect, unending. The reader of the Hebrew Bible is thus invited and challenged to take up a place within this tradition of inquiry, and to continue its elaboration out of his or her own resources. I have made two points concerning the basic texts of Judaism: First, the dominant text—the five books of Moses, or the larger History of Israel from Genesis to Kings—is not a law, but rather a law imbedded in a narrative whose purpose is to spur engagement with the profound philosophical issues that surround the promulgation of this law of the universal God. Second, the major compendia that serve as the core of Judaism, beginning with the Hebrew Bible and continuing with the Talmuds and Midrash, are all compiled to incorporate conflicting points of view with the aim of preserving traditions of debate over fundamental issues and spurring further debate through the generations. Nowhere is there anything resembling a catechism in any of these texts. Their overarching purpose is clearly to bring those who are capable of philosophic engagement into the search for the nature of things, into the search for what is right in God’s eyes. If we return to the biblical type contrast between shepherds and farmers, we thus see the following thing: Although a violent original hatred is posited between shepherds and farmers, and although God best loves the shepherd, who alone can truly know God, the biblical teaching is not a teaching for a society of shepherds. On the contrary, Israel on its land is an agrarian society, and what the tora seeks is to inculcate a love of the shepherd, and of the path of the shepherd, in a farming society that will always be rooted in the values of faith, obedience and piety characteristic of the agrarian civilizations that the farmer-type represents. Thus it is Abraham, the great shepherd, who is depicted as the great digger of wells, establishing new sources of water for the land. But survival on the land ultimately depends on the qualities of faith, obedience and piety that are characteristic of the life of his son Isaac, the only patriarch who engages in farming. And so we are told that “Isaac dug again the wells that had been dug in the days of his father Abraham… and he called them by the same names that his father had given them.” It is these same traits in Joshua that permit him to lead the people with a whole heart after the turbulent period of Moses’ leadership. And other such examples can be recognized, the farmer consolidating and making strong what the shepherd has brought into being. There is here a rejection of the claim that there can be no synthesis, that intellectual independence and a society of piety and obedience must be at war with one another, must wish to destroy one another. In Hebrew Scripture, God’s word and command are brought into the world by shepherd type, but they are piously preserved and made strong in the minds of men by the toil of the farmer. Each is seen as having a role to play, without which God’s word will not be established among men. IV. Does Philosophy Require a Concept of Nature as Necessity? We’ve seen that the authors of the Hebrew Bible discovered and promoted a standard of right independent of ancestry, authority and custom; and that the Bible was purposely constructed so as to press capable readers to engage in a life devoted to seeking this standard of right. These characteristics of the Bible suggest that there are powerful reasons—even if the matter is approached from a Straussian perspective—for regarding the Hebrew Bible as philosophy. However, we have not yet addressed the metaphysical plank in Strauss’s argument for excluding the Bible from philosophy. That is, we have not yet established whether the independent standard of right that the prophets of Israel discovered was one that could be said to hold good necessarily—or, in other words, whether there is a nature to which the God of Israel must conform his actions. In addition, I would add that we have no yet established whether such an understanding of nature as universal necessity should be a requirement of philosophy. [Philosophy] presupposes… that the first things are always and that things which are always or are imperishable are more truly beings than the things which are not always. These presuppositions follow from the fundamental premise that… the manifest changes [in reality] would be impossible if there did not exist something permanent or eternal, or the manifest contingent beings require the existence of something necessary and therefore eternal. Beings that are always are of higher dignity than beings that are not always, because only the former can be the cause of the latter. If this is taken at face value, only those thinkers or writers on political matters who have come to see that some things in politics are “necessary and therefore eternal” can be viewed as philosophers writings on political things, and therefore as having a place in the history of political philosophy. This is certainly in keeping with the philosophic discipline as understood by Plato, for whom the “true being” that the philosopher seeks in his escape from this perishable world is found in forms that are perfect, immutable, and eternally unchanging. Aristotle likewise believed that the essences, the essential forms of things in this world, are eternal and unchanging, a conclusion that coincides with his belief that the visible world is itself eternal. Indeed, for Aristotle, the first mover exists of necessity, a view that suggests that God himself exists necessarily. [God is] not controlled and not controllable. But to be knowable means to be controllable, and therefore he must not be knowable in the strict sense of the term…. [T]he divine name given in Exodus, which literally translated means, “I shall be what I shall be,” is the most radical formulation of that. It is just the opposite of the Greek notion of essence, where it means the being is what it is and was and will be. But here the core, one could say, is inaccessible; it is absolutely free: God is what he shall be. It is a free God, unpredictable. I do not believe this depiction of the God of the Bible and of the world of his creation is entirely right. I will come back to the difficulties with this understanding of the biblical God shortly. But Strauss is at least partially right: Certainly, there is no indication that anything in the world of the Bible is “necessary and therefore eternal.” And if the decision as to what texts to include in the history of political philosophy is dependent on this thesis in metaphysics—that what is by nature is only that which is “necessary and therefore eternal”—then we can say that the Bible does not envision such things and so it cannot be included in the history of political philosophy. However, I question whether it makes sense to make the contours of the history of political philosophy depend on this thesis in metaphysics. After all, there is a legitimate standpoint in philosophy—I mean an empirical standpoint—that poses systematic challenges to this view of the natures of things. Neither physics nor biology is today so bold as to speak of things that are “necessary and therefore eternal.” The physical world, so far as we know from experience, seems to have come into being and to be destined to die, and in this process it is unclear whether there is anything at all that did not or will not undergo alteration. Newton was explicit in recognizing that the laws of physics may not be everywhere the same. Hume went further, challenging even the possibility of establishing principles that are thought to extend far beyond experience. Even mathematics, which was the model and the inspiration for the Athenian preoccupation with things that are “necessary and therefore eternal,” can no longer simply be asserted to be a science of necessary and therefore eternal forms. With the acceptance of a non-Euclidian geometry as describing the space in which we actually live, it is now at least arguable that mathematical forms are nothing more than idealizations of the human mind, derived from the phenomena of experience by analysis and synthesis, whose sole relationship to true being consists in their worth (or lack thereof) as descriptions of the empirical world. It is not my intention to press for acceptance of such a standpoint here. For present purposes, it is enough to recognize that such a position has a prominent place within the tradition of Western philosophy, and that, from the point of view of this position, it is an open question whether we should be willing today to accept the existence of “necessary and therefore eternal” things of whatever kind. And even if we do accept the existence of such things in mathematics or logic, it is doubtful whether this means that there are any “necessary and therefore eternal” things to be found within the range of subjects treated by political philosophy. The fact that we do not accept an Aristotelian conception of nature as eternally immutable necessity with respect to political things does not, however, mean that we do not engage in political philosophy. A thinker such as Hume, who would have denied the existence of “necessary and therefore eternal” things in the political realm (and indeed, anywhere outside of the realm of “relations of ideas”), nevertheless should be regarded as a practitioner of political philosophy. And in fact, Hume is included in Strauss’s History of Political Philosophy. The amendment I propose to Strauss’s historiography is as follows. Philosophers disagree, and must be able to legitimately disagree, on the metaphysical question of whether nature is to be understood as eternally immutable necessity. However, the spirit of Strauss’s proposal, even if not the letter of it, can be preserved by broadening the concept of “nature” to consist of those principles that are true of a thing or of a class of things in general, or that hold good with respect to them in general; or that are the causes of things or of classes of things in general. This would be in keeping with a Newtonian definition of philosophy as the search for the “most general” causes that can be inferred from the phenomena.For those who do not believe in the eternity of the world or in imperishable eternal forms, the discovery of the “natures” of things cannot be more than the discovery of such Newtonian “most general” principles. But it does not appear to me that this means we have given up on philosophy. Philosophy will be understood as the discovery of, or the quest for, the general principles that underlie all things. And political philosophy will be the discovery of, or the quest for, the general principles that underlie political things. I do not see that such an amendment does any harm to Strauss’s overall account of the emergence of philosophy. Everything that Strauss says concerning the challenge that philosophy poses to societies that associate the true and the good with their ancestors and the authoritative traditions handed down from them is still the case, even if the definition of what constitutes “nature” is revised as I have proposed. For example, one may still challenge a given custom, held to be good according to one’s own tradition, on the grounds that it does not appear to be for the good when considered in light of what is good for the generality of human societies that are known or that have been known historically. The fact that such an account of the good for human beings generally does not rest on the metaphysical supposition of an eternally unchanging human nature is irrelevant. We cannot know what may be the fate of human nature one hundred centuries from now. What matters for philosophy is that something has been learned concerning the generality of human nature as far as it can be examined. With this amendment in mind, let us go back to the question of whether the world of the Hebrew Bible is governed by nature. I have already agreed with Strauss that the prophets of Israel do not approach the natures of things as part of a quest for an absolutely immutable necessity. But if we ask whether the biblical authors would have recognized the world as governed by general principles, the answer to this question is certainly in the affirmative. As we have seen, all things in heaven and on earth are, in Hebrew Scripture, governed by laws that hold good in general, even if they are not necessary and therefore eternal. In other words, a definition of nature that would permit us to accept Newton or Hume as legitimate philosophers would also, at the same time, extend philosophical legitimacy to the view of nature that we find in biblical authors such as Isaiah or Jeremiah. The view of God’s nature that is afforded by this fourth response is an ambiguous and partial one. But it is the last in the series, the most penetrating view of God’s nature ever achieved by Moses, the greatest of the prophets. And it departs from the previous ones in that it is lacking the connotation of perfect and absolute freedom. In fact, even the third approach (“I will be gracious”) already hints at the emergence into view of a slightly more constrained divine nature. On the fourth approach, on the other hand, God is clearly recognized as being just and merciful by his nature. Indeed, it is this understanding of God, and not the earlier ones that Strauss cites, which persuades Moses to conclude that the world is ultimately ruled out of mercy and with justice, even if this mercy and justice are not visible for many generations, as was the case when the Israelites were enslaved in Egypt. It is on the basis of this deepest view of God’s nature, and not by means of a posture of perfect faith, piety and obedience to an absolutely free God, that Moses is depicted as returning to God’s service and proceeding to Canaan. I do not mean to suggest that Moses accepts the Aristotelian view that we can attain knowledge of necessary and eternal natures. He does not. But neither is the God of Israel portrayed, in this, the most important biblical text concerning God’s nature, as being entirely “inaccessible,” or “absolutely free,” or wholly “unpredictable,” as Strauss supposes. On the contrary, these are depicted as outward appearances, the initial appearances that Moses encounters in his ascent toward knowledge of God. When Moses reaches the summit of what can be known by man, he is able to recognize the divine nature as governing the world out of mercy and with justice. That God’s mercy and justice are in accordance with his nature explains how the authors of the Bible can maintain “what is right in God’s eyes” as the standard of right against which all things are to be judged, including God’s own laws and decrees as they appear at any given moment. If God’s will were absolutely free and unpredictable, there would be no point in appealing to him for judgment concerning what is right. Such a God, having no nature (not even in the sense in which it is appropriate to use this term with reference to the Bible), has no discernable tendency or direction, and so cannot speak to questions of what “ought to be.” Strauss recognizes the problem, and responds that man can trust an otherwise utterly arbitrary God because he has freely bound himself through his covenant, which is to say, through his promise. But this is no answer. If God is absolutely free and unpredictable, then he can as easily break his promise as keep it. In fact, it is precisely God’s threat to destroy Israel after the sin of the gold calf, thereby breaking his promise to deliver the Hebrew slaves, that is the crucial setting for Moses’ demand to know God’s nature. It is only recognition of God’s ultimately merciful and just nature that guarantees the covenant and the promise, and nothing else. So we are to understand the biblical teaching in this way. The things that are in human experience are never entirely as they should be, and usually quite far from this. Even the law of Moses, as we are told, was written on tablets carved by Moses at the base of Mt. Sinai, and not on tablets carved by God himself at the top of the mountain.But according to Moses’ insight at Sinai, God is merciful and just by his nature. This means that no matter what we find the state of the world to be, it is always possible to appeal upward from the condition of things at this moment to what is right in God’s eyes. He may agree to a repair in light of arguments such as those of Abraham in the case of Sodom, or of Moses after the sin of the gold calf, or of Aaron or Tzelofhad’s daughters. In his day, this defense of Jewish revelation was an act of valor. Nevertheless, Strauss’s context prevented him from taking the much more radical step of mounting a critique of the academic concept of revelation itself. As I argued in my book, this concept as we know it—as a designation for things that are not derived by reason—was developed to describe the debate between early Christianity and the philosophers who were its opponents. It does not enter Jewish discourse until Sa’adia Gaon, fifteen centuries after the prophet Jeremiah lived and wrote. Even if it is accurate as a description of the New Testament, this concept of revelation is wholly unsuited to describing the Hebrew Bible and the Talmud. Strauss, who was a pioneering scholar in the field of late medieval Judaism, read the Bible through this late medieval lens, in which “revelation” becomes a general term that conflates Christian, Muslim and Jewish texts as though they deal with similar problems and offer similar solutions to them. Our own task must be to overcome this medieval reading and permit the Bible and the classical rabbinic literature to speak for themselves—a task to which the contemporary academic environment is proving to be immeasurably more receptive than German academia was a century ago. As soon as we set aside the medieval conflation of the Hebrew Bible with other putative texts of revelation, we quickly see that the prophets and scholars who composed the Bible discovered that the world is ordered in accordance with general principles or natures, and promoted the individual’s quest for these principles—these laws, in the language of the Bible—as a quest for the knowledge of God’s will. In the biblical typology, it is not the farmer, leading a life of obedient love, who has the capacity to draw closest to God; but the shepherd, who is willing to stand at risk and enter into controversy “with God and with men” in order to determine what is truly right. Recognition of these facts alters our view of the character of the biblical texts, and brings their content into much sharper focus. With this new focus, the philosophical character of these works becomes progressively more evident, as well as their place as foundational texts in the Western philosophical tradition. The time has come for programs of political philosophy and political theory to recognize these truths about the Bible, which has had so deep an impact on the history of philosophy in generations past and down to our own day.